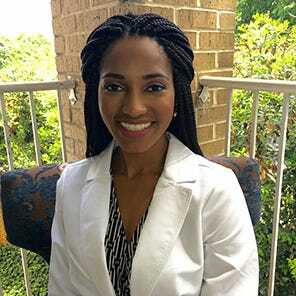 Julia Eze is a certified Nurse Practitioner and Registered Nurse who earned her Bachelor of Applied Science in Nursing from Georgia State University. Since then, she has honed her clinical skills as a Registered Nurse at Emory University Hospital in the field of Hematology/ Leukemia. Nurse Julia also earned her Masters of Science in Nursing (Family Nurse Practitioner) from Mercer University, and she currently works in the field of Functional Medicine as a NP while also maintaining her privileges as a RN at Emory. She is the founder and owner of popular online blog The Nurse Julia, a health care resource for the purpose of referencing evidence-based education and information. "I am passionate about health promotion and disease prevention. I use social media as a platform to educate the masses by sharing health information as well as answering health questions. I feel its a creative way to educate as well as reach some of the most needy populations." Follow Julia on Instagram and visit her blog at TheNurseJulia.com.